30,000 Palestinian-Israelis of Bedouin heritage are are being forcibly transferred by the Israeli government, and thousands of acres of their land is being stolen from them. 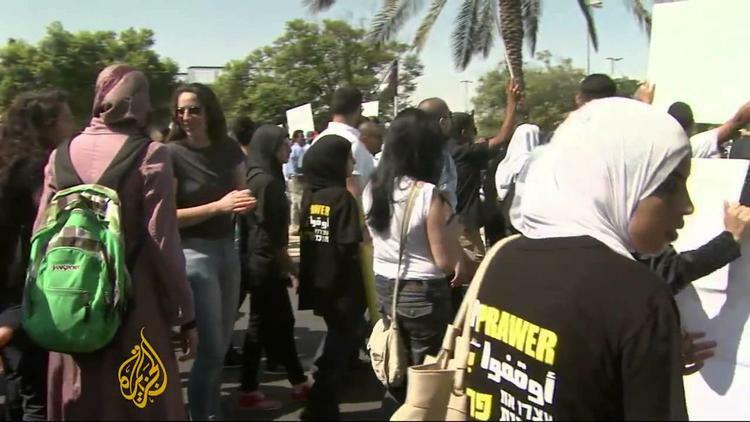 The Palestinian-Israelis are mounting big protests today. “The echoes of District Six, however, are not isolated in the Naqab. Throughout Israel and Palestine, the state is continuing its process of population transfer to transform the ethnic landscape. Since 1993, at least 11,000 Palestinian Arabs from East Jerusalem had their residency status revoked due to government claims that their “center of life” is no longer in the city (this policy is not applied to Jews). In Jaffa and Akka, gentrification is deliberately employed to pressure Arab residents out of their neighborhoods and bring Jewish residents in their place. The uprooting of Palestinians in the South Hebron Hills, Jordan Valley and the rest of Area C aims to clear the land for Jewish settlements across the Occupied West Bank.